As expected, Moto G5 (Moto G 2017) and Moto G5 plus were announced in Mobile World Congress (MWC) 2017. You can get one as early as in March 2017. Unlike Moto G4 (Moto G 2016), there are no Play series for Moto G5. This does make sense. Now, for Moto G fans, it is easier to make decisions: G5 or G5 Plus. We will post a detailed comparisons of Moto G5 and G5 plus later. 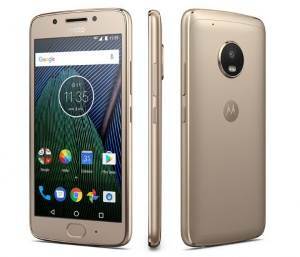 In this post, I will explain to you some desired new features and improvements (compared to Moto G4, Moto G4 Plus and Moto G4 Play) in Moto G5 and Moto G5 Plus. Moto G5 has a 5-inch full HD display and G5 Plus has a 5.2-inch display (full HD as well). This means G5 and G5 plus are smaller than last year’s Moto G4 and G4 Plus (both are 5.5″). The physical dimensions of Moto G5 and G5 Plus actually are comparable to the size of Moto G4 Play. Lenovo didn’t give any explanation or justification on the scaling back in display. If you prefer big display, you may skip Moto G5. Lenovo tried hard to give you a premium feeling on Moto G5 and Moto G5 Plus with full metal design. The backcover is no longer plastic as in all previous generations of Moto G phones. Moto G5 and G5 Plus got an aluminum backcover. It seems we will see more and more all-metal or metal-glass middle-range phones. Motorola was applauded for offering near-stock Android with fast update. It seems Lenovo kept this practice in Moto G5 and Moto G5 Plus. Both phones have Android Nougat 7.0 pre-installed. Furthermore, Google Assistant was also available in both phones. Fingerprint sensor can be found in G5 and Moto G5 Plus. And the fingerprint sensor was placed in the front of the phone below the display. This is different from the implementation in Moto G4 Plus, which got a fingerprint sensor in the back. Interestingly, fingerprint sensor can replace the default on-screen buttons (back, home and recent). You can swipe on the fingerprint sensor to the left for back and to the right for recent. You can even turn off screen by tapping the fingerprint sensor. Removable battery is back on Moto G5. The metal backcover in Moto G5 is removable. And the battery in Moto G5 is also replaceable!! Removable battery is a luxury nowadays in smartphones. None of the flagship smartphones offer removable battery! LG did try it with LG G5, but they just gave up in LG G6. Unfortunately, Moto G5 Plus does not have a removable battery. What do you think about new features and improvements in Moto G5 and Moto G5 Plus.? If you have any questions or want to share your thoughts on Moto G5 and Moto G5 Plus, please let us know in the comment box below. I have a G5 Plus. Every once in a while, I discover, to my amazement, that the Bluetooth function has been turned off, by unseen forces. Any thoughts? You may accidently tap the Bluetooth icon in the quick settings. Bluetooth call be turned on and off even when screen is locked. NEW!! Facebook page || Moto G How-to guides || Moto G online manual || Official Moto G user manual (PDF) || Android Guides || Chromecast Guides || Galaxy S6 Guides || Galaxy S7 Guides || Galaxy S8 Guides || Galaxy S9 Guides || Google Home Guides . Thanks for the response. How does one access this “Quick Settings” menu. I don’t see any way to do so, on my phone. You can access quick settings by swiping down from the status bar (top of the screen) twice, or swiping down with two fingers. (If you swipe down once, you get notifications). When the screen is locked, you need to swipe down only once to access quick settings. So it’s possible you may accidently tap the icon when the phone is in your pocket. Does either model have dual sims? It depends on the region. Moto G always have dual SIM versions in some regions.